The perfect gift for anyone who loves American history or who appreciates antique coins. 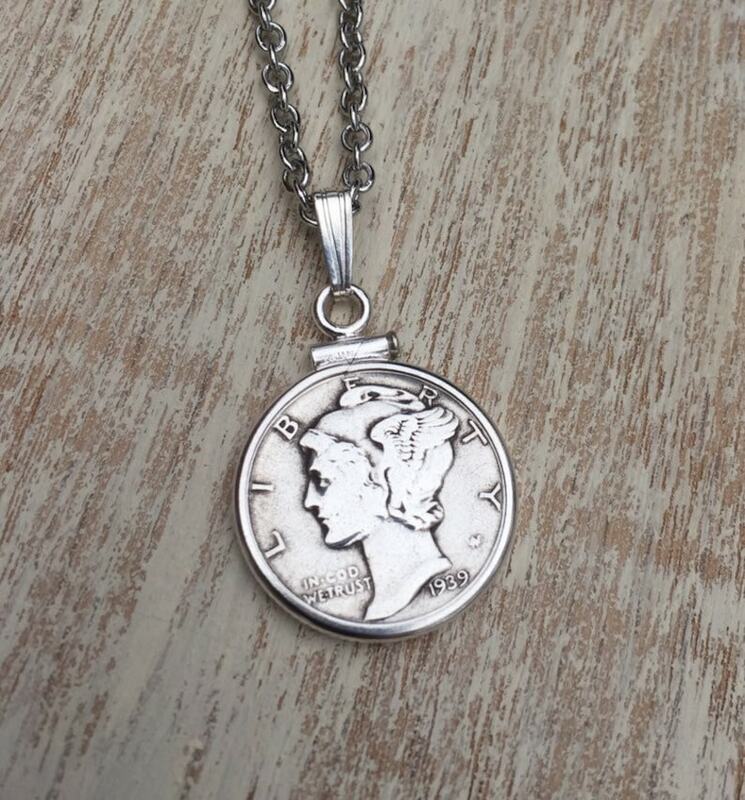 This Silver Mercury dime necklace is set in a sterling silver bezel. It has a stainless steel lobster claw closure and stainless steel jump rings. 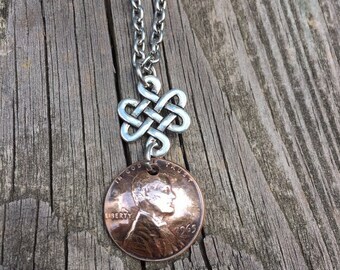 This beautiful chain is made of stainless steel and is 20" long. This necklace is available in the years listed in the drop down menu. If you would like another year that is not listed, please message me to see if I have it on hand. How cool will it be to have a piece of our American history made into a beautiful piece of jewelry! **If this is shipping directly to the gift recipient, I'll be happy to include a gift note from you. Just request what you'd like it to say in the note to seller at checkout. Perfect for the lovely 90 year old lady who received it, and loved it.